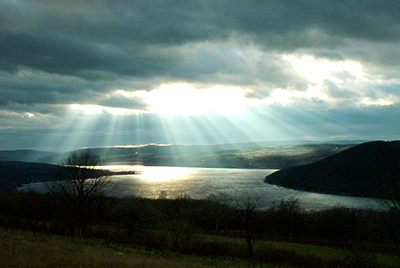 Beautiful stretched canvas prints in a range of proportional sizes up to 20 inches wide are available for most photos. 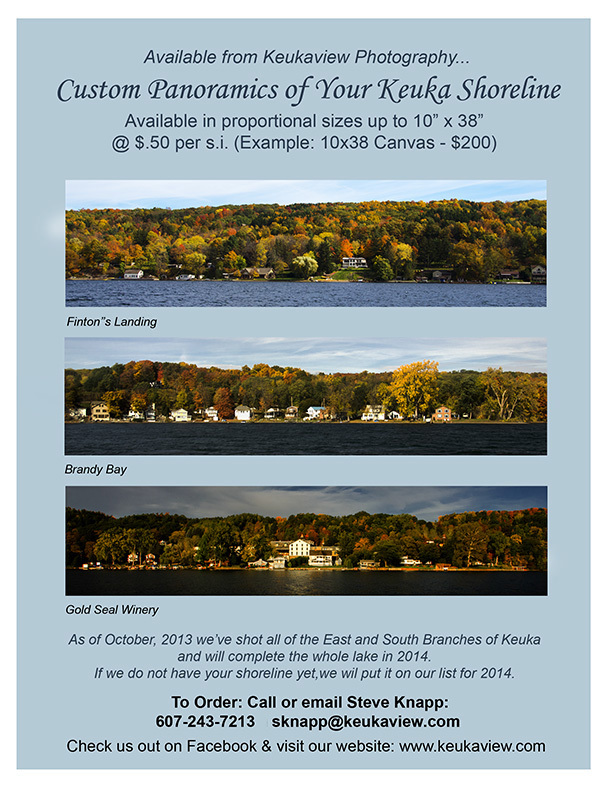 Canvas prints are priced at $.50 per square inch. The wrap around is a mirror image "Gallery Wrap". 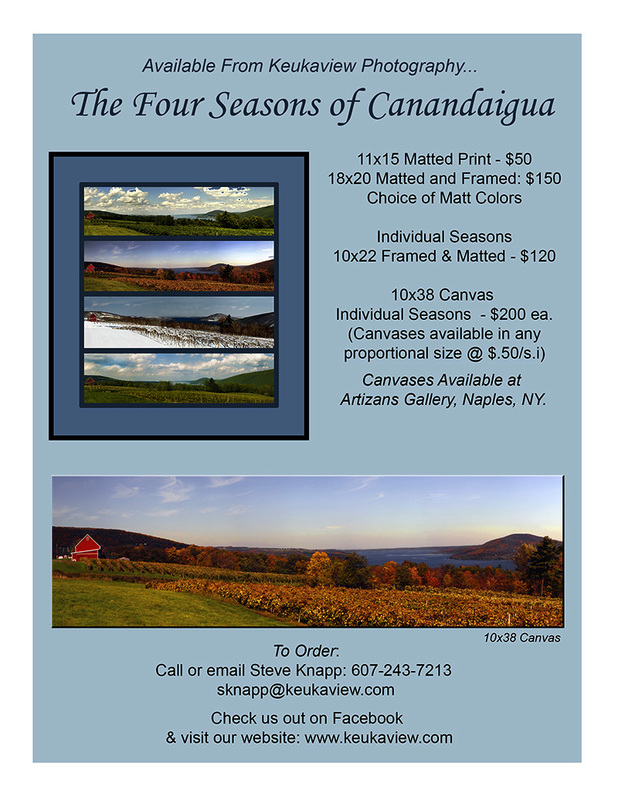 Canvasses give the photograph a "painterly" appearance and provide a smart, contemporary 3 dimensional effect when hung above a fireplace, doorway, or sofa. 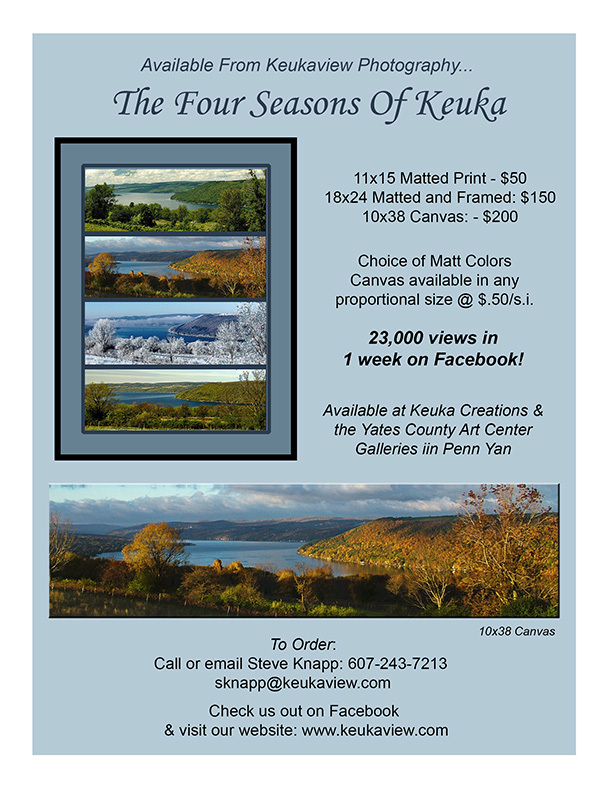 One of the 4 part Series: "Four Seasons of Keuka"
Click Here for larger view or to print.